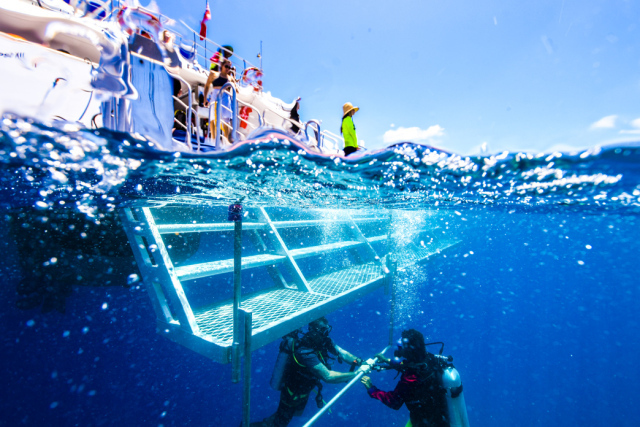 Dreamtime Dive & Snorkel is a unique educational Great Barrier Reef experience incorporating the world's oldest living culture and the stories Traditional Owners have passed down over tens of thousands of years. 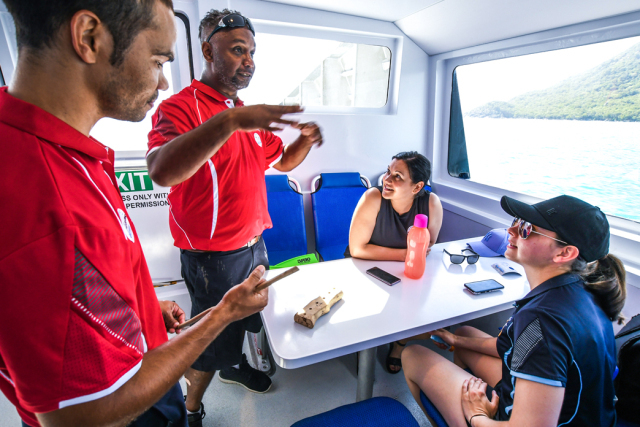 Indigenous rangers recount the Dreamtime stories of the Gimuy Walubara Yidinji, Gunggandji, Mandingalbay and Yirrganydji people to help you gain a deeper cultural understanding of this diverse ecosystem. 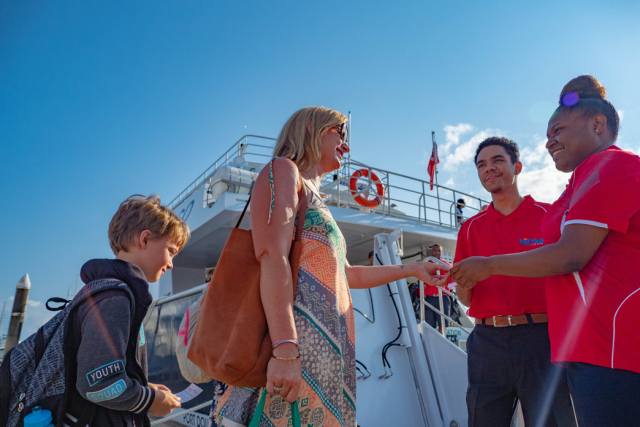 The sea country of these four Traditional Owner groups stretches from Port Douglas to the Frankland Islands and includes the two sites you visit. 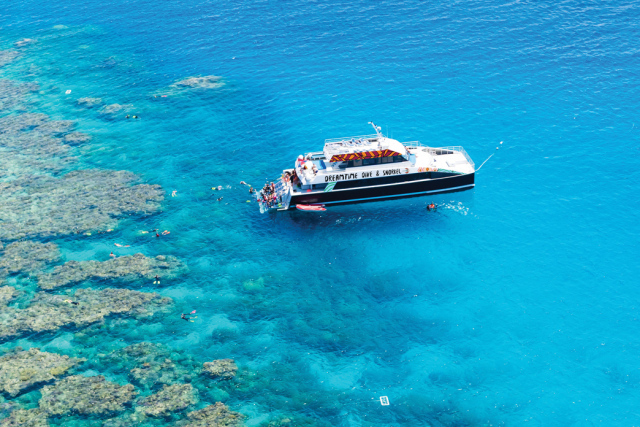 Your day on the outer Great Barrier Reef has five hours of water activities split between two unique sites showcasing a variety of colourful corals and marine life. 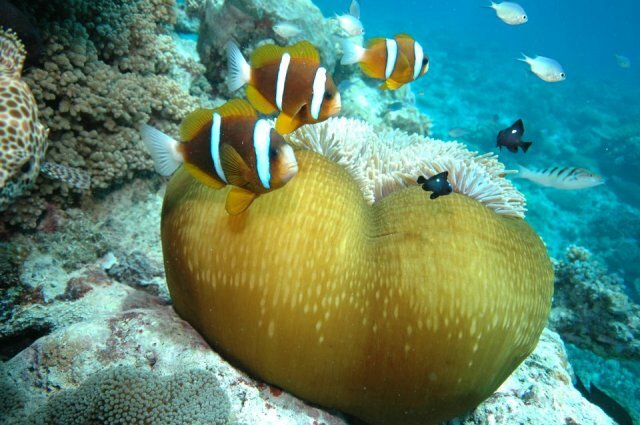 Snorkel and dive over stunning coral gardens where anemones, sea whips, clams and plate corals are home to clown fish, angel fish and bat fish. 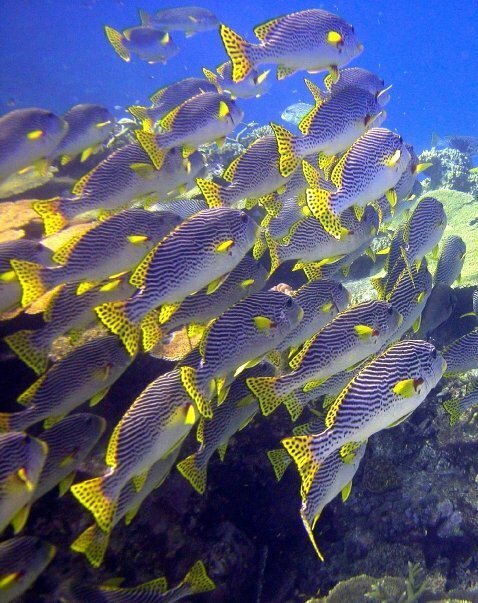 Large schools of giant trevally, red bass and sweetlip congregate between the bommies, while turtles, cuttle fish, rays and sharks are frequently seen. 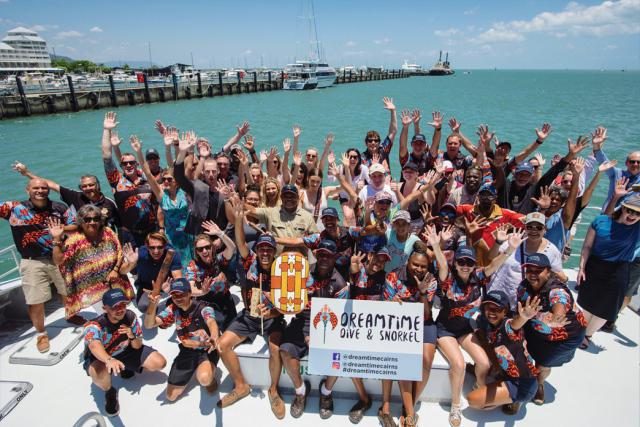 Indigenous sea rangers will join you on a spectacular day tour visiting two spectacular outer Great Barrier Reef sites. Dreamtime Dive & Snorkel is unique. 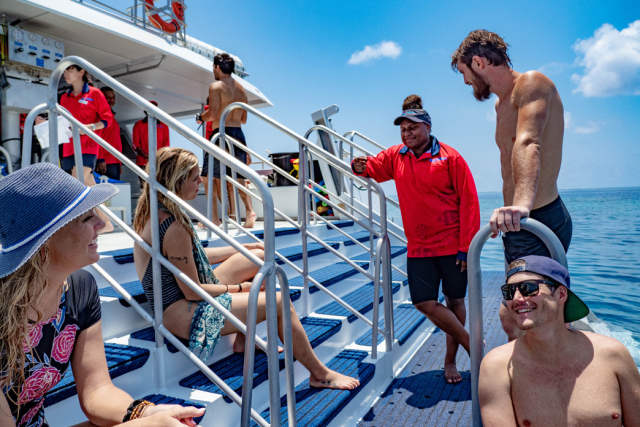 The only Great Barrier Reef experience incorporating the world's oldest living culture and the stories Traditional Owners have passed down over tens of thousands of years. 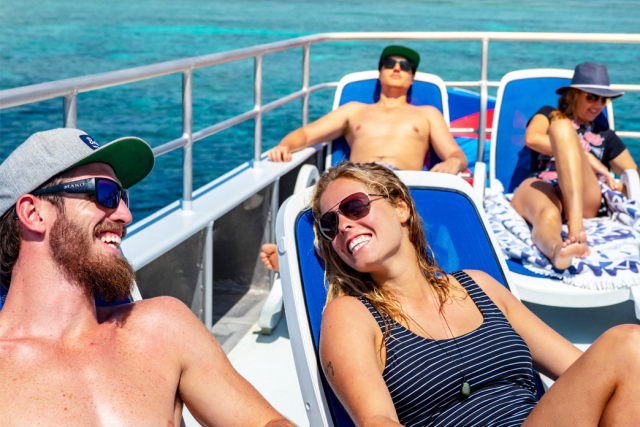 Cruise directly to Moore Reef where you will spend two hours exploring the underwater world with snorkel and glass bottom boat experiences. 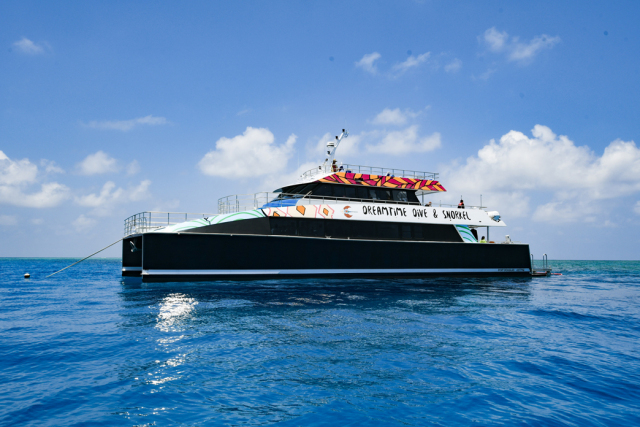 Then cruise to Milln or Flynn Reef for a further three hours of in-water activities. 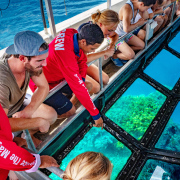 Enjoy a relaxing five hours exploring two premium outer reef sites and gain a deeper cultural understanding of this diverse ecosystem. Day trips suit all active individuals keen to immerse themselves in this World Heritage listed icon. 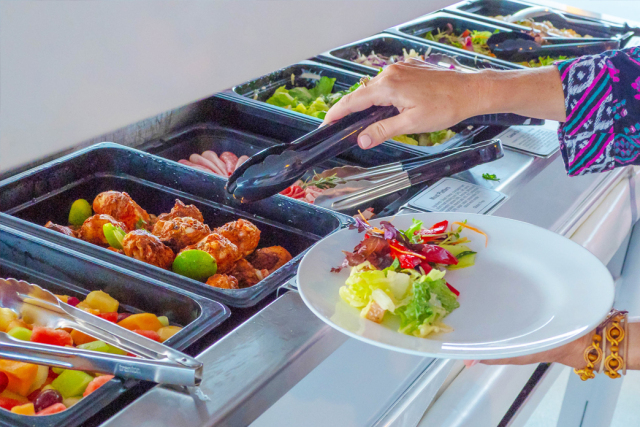 Catering for beginners through to certified divers. 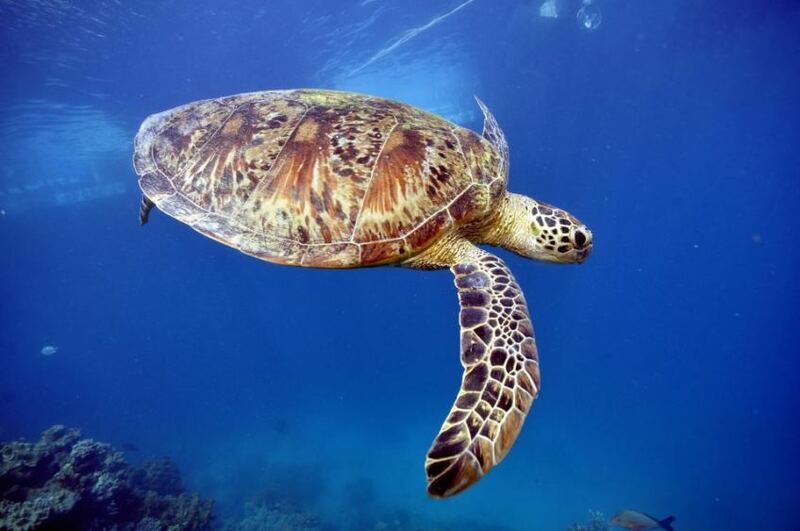 Dive and Snorkel Cairns with Dreamtime. 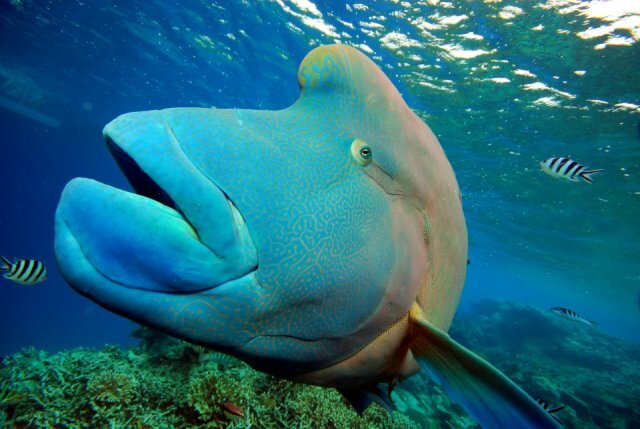 Guided Snorkel Safari: Want to learn more about the reef ? 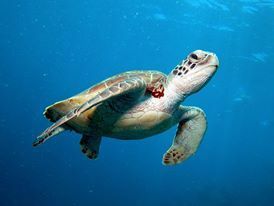 Join our Marine Naturalist on an interactive snorkel safari exploring the spectacular outer reef. 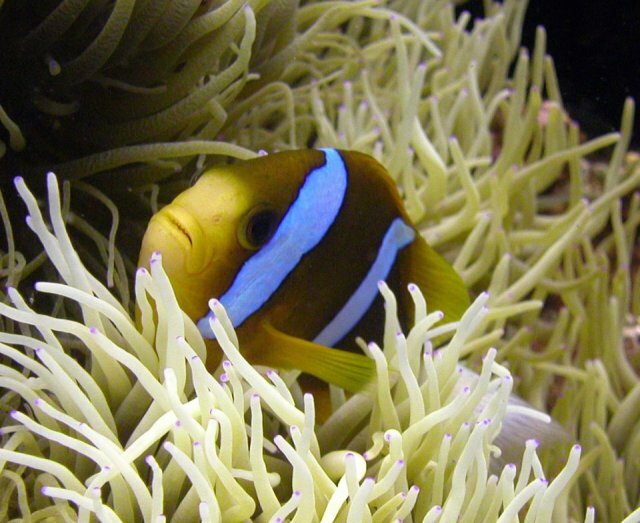 These sites are famous for their extensive coral formations & HUGE schools of fish! Suitable for competent snorkelers who are comfortable in the water. Moderate intensity. 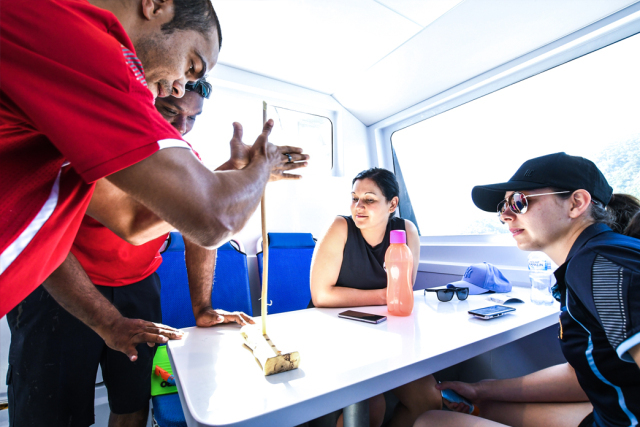 All dives are with a professional dive guide, all equipment, wet suit & use of dedicated dive tender vessel. 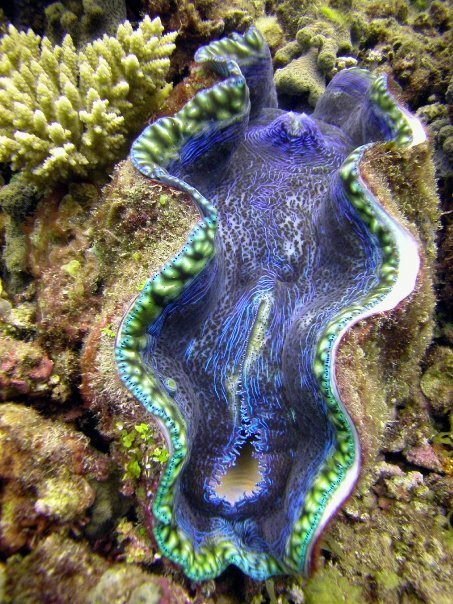 With 5 hours at the reef experience up to 2 uniquely different dives in a day. Our dive tender provides access to a selection of magnificent drift, wall & channel dives, suiting divers of all experience levels. Certified divers must present a valid certification card. 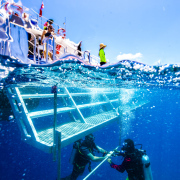 An introductory dive assumes no prior experience and taking visitors diving for the first time is our specialty. 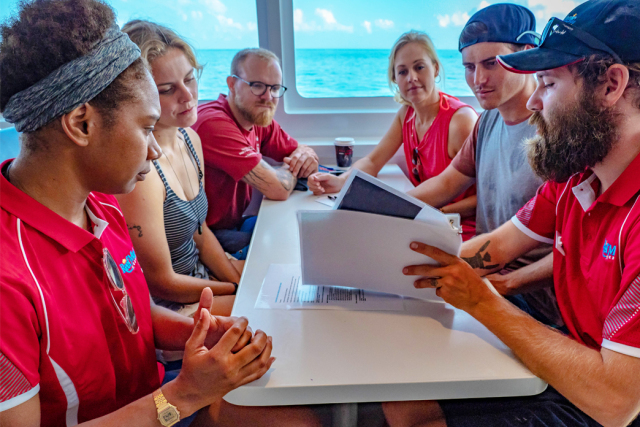 After a comprehensive dive brief and practicing some basic in-water skills our professional instructors will guide you through an incredible underwater experience you will never forget! Minimum age 12 years. No experience necessary. All equipment provided. Cash ($AUD) or credit card (VISA or Masterard) for on-board purchases. The boat trip and staff were fantastic. 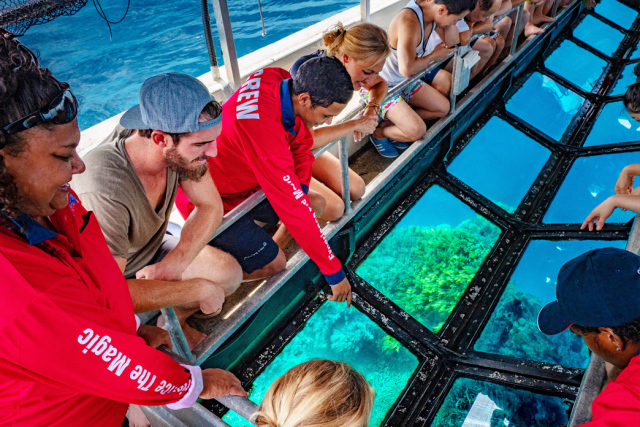 It was educational with the marine biologist on board and in the water pointing out the coral and fish.